At Jaydeep Steels, we manufacture, supply and export these high-quality Nickel Alloy Flanges to our national and international customer bases. 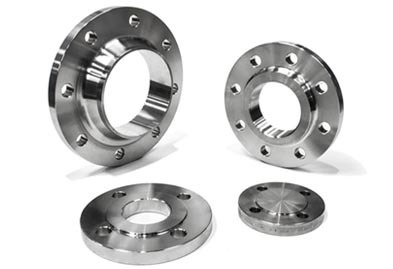 We specifically manufacture quality customized nickel alloy flanges that are based according to our customer’s specs, requirements, and drawings. Nickel Alloy Pipe Flanges offer a wide solubility ranges, and thus its applications in the fields of petrochemical, heat exchangers, pressure vessels, valves, oil platforms, and mining are never-ending. Nickel Alloy 200 Flanges are produced by the assistance of the most experienced staff and modern machinery and technology. The Nickel Flange inventory is one of the most extensive inventories in the world that contains all variety of nickel flanges. 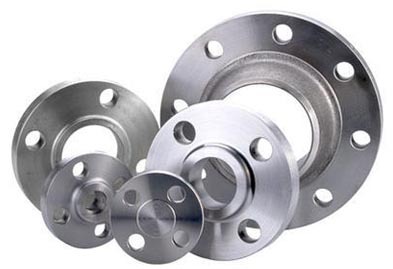 All our varied forms of and Nickel Alloy 201 Flanges like Nickel Alloy Slip on Flanges, Nickel Alloy Blind Flanges, Nickel Alloy Weld Neck Flanges, Nickel Alloy Socket Weld Flanges, Nickel Alloy Threaded Flanges, Nickel Alloy Lap Joint Flanges, etc., offer numerous advantageous features like resistance to creep cracking, fewer hardness problems, high strength, durable finish standards, dimensional accuracy, longer service life, less wear and tear, optimum performance, easy installation and much more. At Jaydeep Steels, it is mandated to make use of only the finest grade of raw material that follows high definition engineering principles for the production of the nickel flanges. Furthermore, they are used in various industries for multiple types of applications because of the reason that these products do not falter at the time of operation. Contact us to request a free quote today! Jaydeep Steels stocks a wide range of materials and grades. Below is a list of all standard nickel alloy flanges materials and grades we stock. Our experienced team of metal experts will get you the metal you need when you need it. Call us today for your Nickel Alloy Flanges Needs!